If it's an update about Piaggio, it has to be about Vespa or Moto Guzzi, the two iconic Italian two-wheeler brands. But this time, it is neither of the two. The Piaggio Fast Forward is a start-up based out of Boston, Massachusetts, founded by the Piaggio Group in 2015. This start-up builds robots and lightweight transportation vehicles that follow humans. The brand recently unveiled its first offering called the Gita (pronounced as jee-tah) which is designed to be a cargo as well as human transportation vehicle. The Gita (Italian for trip) looks straight out of a science-fiction movie but it is indeed functional. 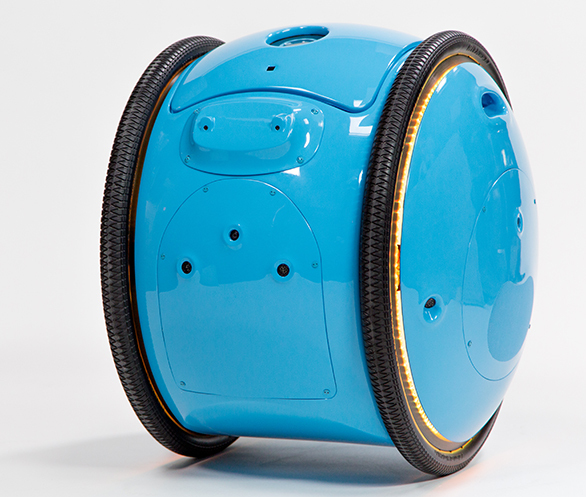 This 26-inch tall robot has a 18kg weight-carrying capacity. The Gita can travel in autonomous mode as well as follow a human. This bot tracks the motion and movements of a human with the help of a belt. It keeps recording different routes and can also travel in the same location in autonomous mode. It can travel at speeds of up to 35kmph, to make it keep up with the humans on foot as well as those riding a cycle. The company states that the Gita can work continuously for 8 hours at single charge. The Gita comes equipped with an array of cameras and sensors. It also comes with a fingerprint scanner to access the loading area. Additionally, the bot can self-park itself once it knows the exact location. These bots can also communicate between each other and form a closed network. While the company has unveiled the Gita, they have not stated any information regarding the commercial production of Gita and its market rollout. PFF will instead be running pilot tests of the Gita for the next six months in college campuses and hospitals. Piaggio has also showcased a larger version called the Kilo. 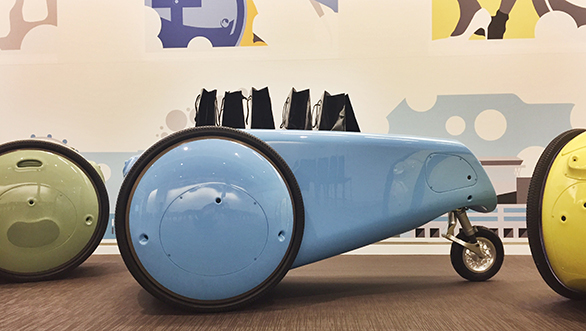 This three-wheeler can carry up to 100kg in its 120-litre storage area. In terms of functionality, the Kilo is identical to the Gita. The company has not disclosed much technical information about these vehicles. Though there is no official word, it is believed that these Piaggio autonomous bots will launch in sometime next year.